Bring style to your wall space! 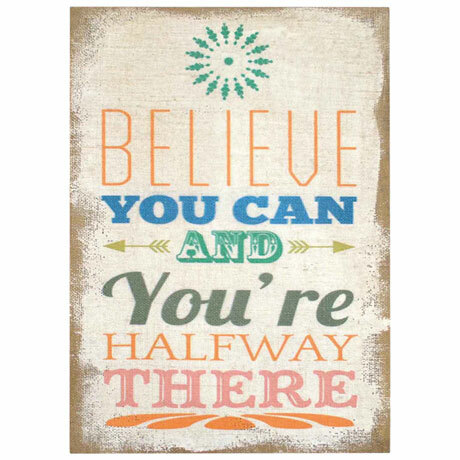 This charming wall decor features a burlap base with a white painted background and the text "Believe You Can and You're Halfway There." Its typography gives it a trendy look fit for any modern or rustic living space. 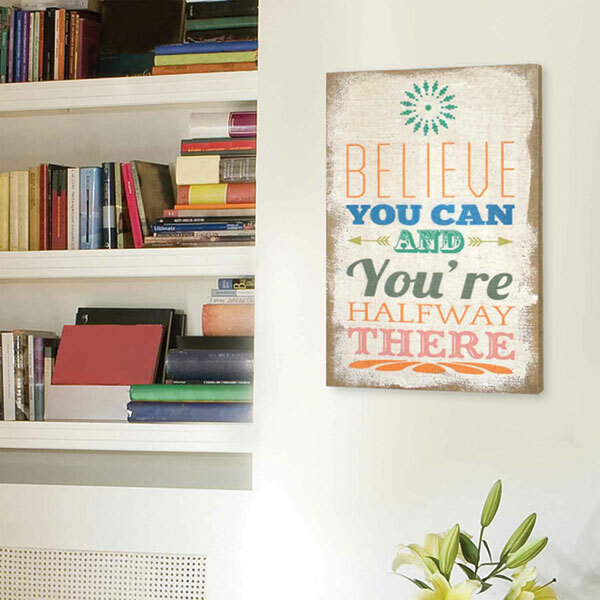 Place it on any wall for a daily dose of inspiration. Attached D-rings make hanging it easy and convenient. 18" wide x 1 1/2" deep x 25" high. Allow 2 weeks for delivery. No rush delivery or gift box. Item can only be shipped within the Continental US.